PHP frameworks are designed to simplify complex coding concerns of PHP developers. It is a globally accepted programming language helping developers to create exclusive web applications in a short time. In fact, the best part about PHP is its ease in adapting. It is easier to learn in comparison to various other scripting languages. By making use of PHP frameworks, developers will be able to cut down a lot on the development time by avoiding the need to start coding from scratch. Without a properly signified PHP framework, it is difficult to manage the codes. PHP operates on the fundamentals of MVC (Model View Controller), which is an architecture pattern available in programming languages creating a bridge between domain logic and user interface. The task of Domain Logic is to deal with the ability to manage an exchange of information between database and user interface. This makes the entire process easier and is logically presented. Laravel has expressive and neat language rules, which makes web applications stand out from the rest. The Laravel MVC was created for having a free, open sourced PHP web application framework. Adding to the popularity of this framework are certain features like strong building tools, big stout applications, with a special inversion control container, communicative migration structure, and closely incorporated unit testing maintenance program. Being a highly popular PHP framework among the expert developers, Symfony is utilized to develop excellent websites and applications with the assistance of various professional & creative. It is powerful and helps reducing the problem of repetitive coding structure. Also, it guarantees a stable platform that makes it one of the highly sought PHP framework around the world. Considered agile, CodeIgniter is an open source PHP framework that has managed to gain recognition for its classic performance. In fact, it has the ability to support next generation of application development that requires simplified coding. This means, there will not be any restrictions over the coding process and no complex configuration would be required to make it run. In a nutshell, the brilliance of CodeIgniter lies in providing simplified solutions to the complex coding problems needed to create web applications. Yii Framework is a quick, secure and expert PHP Framework that provides influential caching assistance and is overtly created to operate competently with AJAX. Undoubtedly, Yii Framework’s swift development solutions make it really easy for a developer to create applications in a short time. Excellently developed with quality documentation in a short span of time, the applications developed using Yii gives awesome user experience and features. Certainly, falling in the category of powerful PHP frameworks, Cake PHP 3.0 is one of the most important PHP framework relied by developers. It has been upgraded with improvised session management, ORM based enhancements and a lot more over the years. The framework also offers choices to create standalone libraries with endless support of increased modularity. Considered as the full-stack framework, this PHP structure is written by making use of C & C++ language. These languages add to the performance factor of Phalcon. Due to its innovative features, Phalcon quickly became one of the most popular framework to build web applications. Zend is yet other outstanding PHP framework. Tt is exceptionally innovative, secure, and offers a flexible framework that coders require to build web applications. Over the years, Zend Framework 1 and 2 have been used in major enterprise projects. As an open-source framework, this framework process calls for using the object-based code for web applications development. When combined with strong standard library mechanism, Zend offers towering performance with MVC implementation, proving to be an influential & flexible framework. It is a compilation of higher quality, completely checked, individual libraries, which can be competently utilized in any type of coding structure. Each kind of library is self enclosed and do not rely on any further package. It is specially meant for those, who believe in clean coding, completely decoupled libraries and self-governing packages. It also offers trivial, thoroughly tested and standard structure. Fuel is an easy, agile, community driven PHP 5.3+ framework, which relies on the finest ideas of other structures. It is presently bringing out version 2 of the project, existing in beta stage. Popular as presentation model, Fuel PHP is laced with the additional features present between the controllers. Fuel PHP is a potent, proficient and helpful PHP framework that assists in making incredible websites. PHP developers looking for a simplified PHP framework opt for PHPixie because it is operational on the platform of MVC pattern, helping developers design applications in a short span of time. It is uncomplicated to study and perform flawlessly to create superior web applications. Moreover, it offers a strong foundation for development. Requiring lesser configuration & being easy to use, this is going to be more & more popular in coming days. Kohana is a stylish PHP framework with a loaded set of features to create web applications. It helps in building web applications rapidly due to numerous universal components integrated, as translation tools, code profiling, database access, encryption, validation, and many more. It also has superior debugging and profiling tools assisting to resolve any problems. Kohana is developed to be a very swift PHP framework, highly optimized for real world handling. 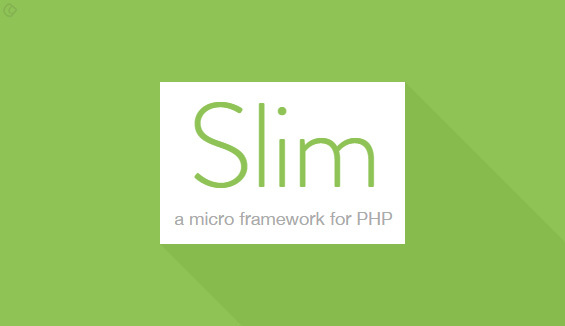 Created as a lightweight framework, Slim is a micro-framework that allows quickly creating easy and powerful web applications as well as APIs. It has a reliable router, template depiction with bespoke views, HTTP caching, flash messages, protected cookies with AES-256 encryption, logging with custom log writers, error treatment and debugging and uncomplicated configuration. Flight is a widespread micro structure meant for PHP developers and is known as a speedy, easy & flexible framework. The best part of Flight is that it allows developers to promptly and easily build heavy web applications. It requires PHP 5.3+. Medoo is the lightest & an easily manageable PHP framework used to hasten web development process. It occuppies just 13kb space in a single file. It is tremendously simple to learn and implement, compatible with a variety of SQL databases such as MySQL, SQLite, MSSQL, Maria DB, Oracle, Postgre SQL, Sybase and more. The framework is offered free under the license of MIT. In this technology oriented world, Medoo is a relief for those developers, who do not want to get entangled in managing complicated coding requirements. The POP PHP framework design is vigorous; but, simple to use with an efficient API. It calls for PHP 5.3+ and manages to maintain its minimalism and lightweight nature. Though numerous novel features have been added, it can still be used purely as a toolbox, or as a foundation of your applications. Simple MVC framework is be enormously easy to install, have simplified coding structure and uncomplicated to learn. In fact, the setup can take place by ideating the site path. It includes trouble-free theme files, as well as complete control over views; even, themes can be utilized to promptly change the appeal of the application or a website. Generally, MySQL is offered by making use of a PDO helper that can be bartered to MySQLI, Medoo or any other database engine. This makes such a framework demanding because of the simplified approach adopted. Nette is a powerful helping developers create better websites. Nette makes use of radical technology that abolishes security holes and their mishandling like in XSS, session hijacking, and session fixation. It features strong debug tools, which help in discovering bugs in a meticulous fashion. Being a powerful and simple to use micro-framework, Fat-Free have been created by Bong Cosca in 2009. Indeed, it is one of the lightweight structure taking lesser than 50KB space file. This framework was created almost completely in PHP with features like URL router, support of multi-lingual application and cache engine. There are many plug-ins available for extensive database back-end operations such as MSSQL, MySQL, PostgreSQL, SQLite, Sybase, MongoDB, DB2, CouchDB, and Flat File. PHP Mini is a heavy PHP structure ideal for small projects and quick prototypes, taking lesser storage space. Though plain; it has a clean code and is simple to understand. The CRUD based demo operations are integrated for simplified database entries. Generally, all the codes are more or less written in PHP, which does not require developers to learn any additional frameworks. This makes it easy for the developers to work with PHP Mini. Based on Symfony and Doctrine, Zikula is an open sourced PHP frame. It can be used for small, personal and also enterprise based projects. Zikula is well incorporated with the accepted Bootstrap 3 structure and Font Awesome 4. There are certain exclusive features involving elegant theme system, ModuleStudio, WYSIWYG editors, document originator, chat, galleries and many more. Zikula has managed to gain recognition for its high-end performance. Inspired by Sinatra, Silex is a specialized PHP micro-structure for PHP 5.3. In fact, it is powerful enough to allow developers to create single file applications with a concise API. Considered highly technical, Symfony’s HTTP Kernel makes it possible for applications to be easily tested. The best part of having this PHP Framework is that it offers a secured development of applications. Agavi is a powerful, scalable PHP5 application that operates on the principles of the MVC paradigm. It allows developers to type clean, manageable and flexible code. Agavi puts emphasis on constant quality rather than short-ranged decisions. When it comes to quality app framework, Agavi is the preferred choice of developers. Technology has always been creating platforms that are advanced in nature and equipped with extensive features. Making coding a happy experience and a thing to love, TYPO3 Flow is a web application podium empowering developers to create smarter web solutions. It is powered to give faster results. It can act as a stable base for creating various complicated applications. Another wonderful thing about this framework is that it has been supported extensively by major PHP communities. PRADO (derived from PHP Rapid Application Development Object-oriented) is a component framework for PHP5. PRADO is an event-driven programming framework used for developing Web applications in PHP 5. It was first written in PHP4 by Qiang Xue in 2004, which was later re-written to PHP 5. One of the most important benefit of PRADO is that it enables maximum reusability of codes in programming and this hugely benefits the development teams in the long run as they can easily reuse their previous codes or other developers code in an easy way. This is not a coffee to be tasted; rather, it is a popular PHP framework to develop applications in a short time without missing out on essentials. Created by the 280North team of Motorola, it got popular for its rich features and ability to develop applications that might not have been possible on other framework bases. Limonade has managed to gain significance for high quality web designing and development solutions. Apart from this, Limonade is also excellent in assisting developers for speedy prototyping solutions. Known as a suite for applications, Webasyst is meant to help the developers work together in teams, collaborations, and creating eCommerce stores. The main use of Guzzle PHP framework is to allow developers to create applications that are less time consuming. The applications designed on this platform are extremely simple in managing tasks of an online store. Simplified coding makes it easy to understand share it. Being another framework marvel based on core PHP, YAF is a primary MVC tool that has been written in C language and created as PHP Extension. It is considered as one of the speediest and the lowest resource consuming PHP structure as of now. The Akelos Framework is an open-source port of Ruby on Rails to the PHP programming language and it implements many features from RoR, which helps in easily coding multilingual database-backed web applications according to the Model-View-Control pattern. The Akelos Framework is a very developer friendly frame work and lets you write less code. One of the awesome Frameworks in PHP! We proudly present before you the Qcodo Development Framework, which is one of the open-source PHP frameworks and also, it would be more exciting when you come to know that is a wholly object-oriented framework too. The best part of using Qcodo is to relieve the developers from the unnecessary strain of coding. 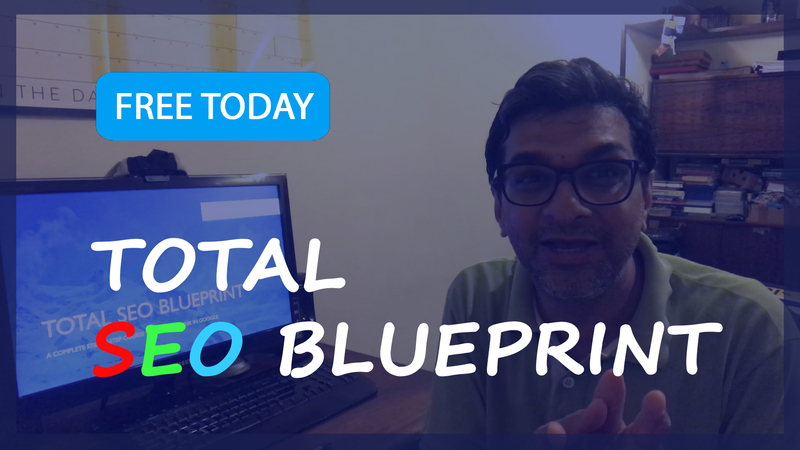 Let me reveal another interesting fact about using Qcodo- the websites that are powered by Qcodo are capable of generating over 100 million page views each month. Organisations such as the NASA and companies like HP where there is always this rigorous production of data are implementing Qcodo as it hassle-free to use. Regardless of the application, you can implement Qcodo for almost anything and everything that includes both large scale enterprise applications and even the Web 2.0 startups. It comes with a fully-integrated PHP driven AJAX Support. It is available for anyone at anytime because it is absolutely free of cost. You can use evoCore without PHP 5. It can still work under PHP 4. Also, you can host your applications on any web hosting provider. Here, you are free to choose the web host provider that you prefer and also, fits well into your budget. Like Qcodo, Stratus is both an object-oriented and open-source PHP Framework! It is mainly used for rapid development of PHP web applications. Also, you do not worry about the safety and security when working on Stratus. Seagull is one of the object oriented PHP Frameworks that can be used for building complicated applications in a jiffy. If you are an amateur PHP Developer, then, this is where you should be starting out. You can hunt down in the Seagull library for sample applications that can be tailored to fit into your requirements with ease. Don’t worry if you are an expert, still, you can implement Seagull because it provides you with a variety of options that includes a modular codebase, standards, best practices that will guide you through building some of the best applications. A number of command line, GUI apps and web applications have been powered by the Seagull framework from PHP. Help and assistance is available at anytime because of the active community that Seagull possesses. Less often heard but one of the awesome frameworks in PHP. It was earlier developed by a community of developers for powering the applications they worked upon. But, later on, it was made globally available as per the request from their customers. It cannot be used with all kinds of applications but, of course, it could serve the needs of small and middle sized businesses. Limb is another object-oriented PHP Framework! It can be used mainly for rapid web application development and prototyping. Currently, you can get access to Limb 3 as the previous version Limb 2 is not maintained anymore. Yes, it is one of those PHP Frameworks that will contribute to making application development easier. Also, it helps in developing the applications much faster than others. The framework also ensures that your application is of high quality. Do you have trouble with developing or working on Ajax applications? Don’t worry! AjaxAC could be the solution you are searching for while developing Ajax applications. Another, open-source framework from PHP, it helps in developing faster, easier and high-quality applications of all sizes. When using AjaxAC you do not have to reload the entire page as it implements the XMLHttpRequest object to change the state of web pages using the HTTP sub-requests in the background. This Framework from PHP was introduced in the year 2001 and has been in use across different production spaces. It has been built on MVC principles. And, all the aspects of MVC culture are applicable across Zoop such as the separation of the display, logic and even the data layers. Also, you can this modular, extensible and efficient framework to strike an effective balance between the differently featured applications. This is one of those application frameworks from PHP that also contains a Content Management System inside it. Because, it is written in one of the developer’s favorite scripting language PHP! But, there is more to it. It allows you to develop applications in a faster, easier with no compromise on security and quality. Another exciting feature of using BlueShoes is that it provides unconditional support to the widely-used MySQL database while supporting MSSQL and Oracle. So, wouldn’t you start using it? Yes, it must be something you have not tried for your application. It is something that the community is recommending for both amateurs and PHP experts to try while working on with their application. This RESTful PHP Framework is the thing that you have been searching for to add more color and fun to your application development process. It supports speedier and easier development of applications that belongs to all sizes. With Recess you do not have to worry about the quality or security of the applications that are being developed. As the name suggests PHPDevShell is one of those frameworks where you can run your code from inside a shell. It is one of the shells that ensure the developer can develop their applications with ease, faster and keep it safe. You can acquire your own plug-ins for PHPDevShell by plugging in PHP scripts into PHPDevShell’s secure menu system. These are some of the PHP Frameworks that you should be using in 2017 for developing your applications. It would help you with developing easier, faster and secure applications for the web. Thank you Jamsheer K for this post.